We were saddened to learn of the death of celebrated Utopia artist Kathleen Petyarre on 24 November 2018. Recognised as one of the premier contemporary painters of the central and western desert art movement, Kathleen’s work was executed in the finest detail, depicting the travels of Arnkerrth, the Mountain Devil Lizard. 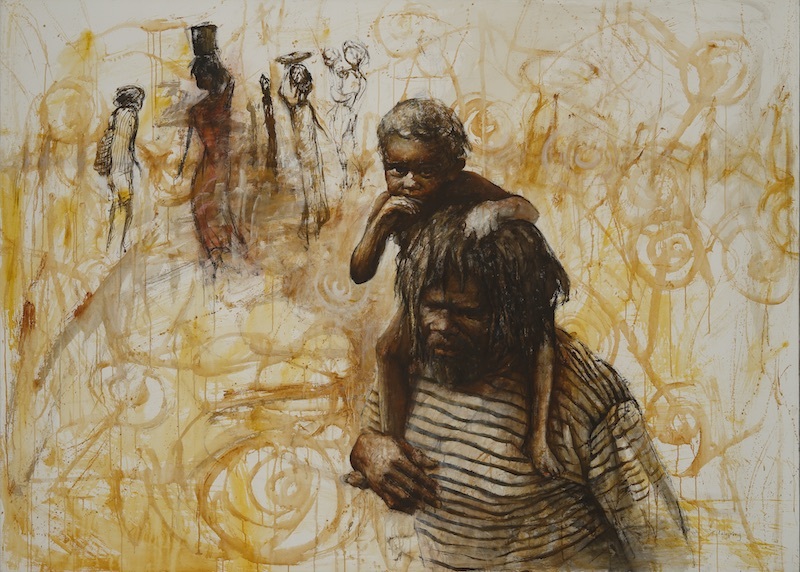 Since her prize winning entry at the 1996 Aboriginal and Torres Strait Islander Art Awards, she found new representations bordering between cultural histories and abstractions and was celebrated through many exhibitions; on the international stage and through the survey exhibition Genius of Place at the Museum of Contemporary Art, Sydney (2001). Her compositions often focussed on diagonal tensions; illustrating travels and sacred sites. Kathleen’s abilities as a painter were matched by her seniority in cultural knowledge and matriarchal duties of custodianship. Read the personal tribute from Christine Nicholls, Flinders University as published in The Conversation. “The thorny devil is unable to cover country in a straight line – she always takes a semi-circular route across her vast, arid country. This seems an apt metaphor for Kweyetemp Petyarre’s life, which hasn’t followed the trajectory that her younger self had foreseen, perforce veering off and rounding corners that she had never dreamed of in her childhood. That life, so rudely interrupted by the colonisers, was largely held together by her love of her family, and their love for her. A recent article celebrates the heritage restoration project of John Glover’s Patterdale Farm in Tasmania, featuring a beautiful antique cupboard painted by Michael McWilliams. McWilliams has of course been a previous winner, and finalist on numerous occasions, of the John Glover art prize and has his own historic home and garden in Tasmania, so it is a real delight to see this connection with McWilliams’ artwork in Glover’s home. Missed the pleasure of our most recent exhibition opening? Eager to hear an insider’s view about the artworks? Videos of the exhibition opening for Alice and Beyond: Recent work by Janet and Mike Green, with opening remarks by Rod James, along with individual conversations with both Mike and Janet, are now all available for viewing – enjoy! We pay tribute to Charles Blackman (1928 – 2018) who passed away Monday 20 August, aged 90. Represented in the National Gallery of Australia and in all public State Galleries, in addition to numerous private and corporate collections, his work is celebrated and widely recognised throughout Australia and internationally. Blackman was a self-taught artist and found inspiration for his art in personal references. His Schoolgirl and Alice in Wonderland series of artworks are particularly renowned. Drawing has always been an integral and essential part of Blackman’s artwork and the intimacy of his drawings are of great appeal. Although depictions of the world around him, they are often a personal reflection or response, felt rather than seen, and so evoke grander themes of the human experience. “It is with deep sadness that we announce this morning that our beloved father Charles Blackman OBE passed away just one week after his 90th birthday celebrations. Lauraine Diggins Fine Art recognises the celebration of Naidoc Week (8 – 15 July 2018) which this year focuses on the important role women have played and continue to play as influential role models. We see this in the community of Utopia where the women artists in particular have forged a presence on the international art stage – particularly, Emily Kam Kngwarray; Gloria Petyarr; Kathleen Petyerre – and continue to build on this legacy with younger artists including Genevieve Kemarr Loy. Utopia, a former cattle station in central Australia (around 240kms north east of Alice Springs) was handed back to the Anmatyerr and Alyawarr people as Aboriginal freehold land in 1979. The women at Utopia were instrumental in the land rights claim, as they presented evidence of their ownership of the land through Awelye (women’s ceremonies) including body paint designs. Sales from batiks created by the women in the late 1970s enabled funds to be available to support the successful land claim. The paintings by artists from Utopia are a contemporary expression of the cultural knowledge an artist holds about country, formed through the medium of acrylic paint. Although often superficially depicting the food and flora of their landscape, such paintings reveal an artist’s inextricable link to country and the deeper intimate knowledge of cultural heritage and ceremony. Currently on view at Lauraine Diggins Fine Art are paintings by Nancy Kunoth Petyarr and her daughter Elizabeth Kunoth Kngwarray. Click here to read more about Utopia and the artists from this region. 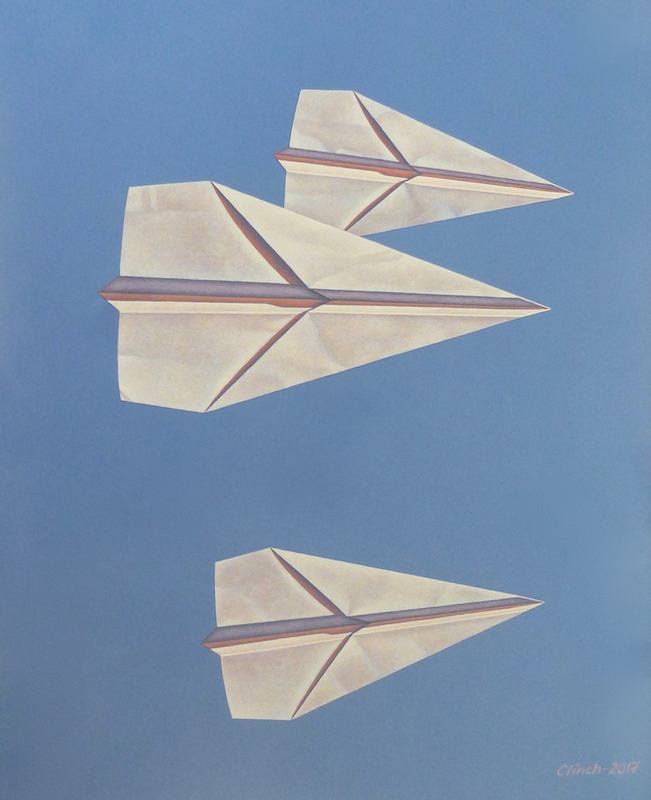 Canberra Museum and Art Gallery are celebrating 20 years of collecting visual art with an exhibition showing until 17 June 2018, featuring Room with a View by Andrew Sayers from the CMAG collection which curator Deborah Clark describes as “like haiku” with its simplicity of line and form capturing a sense of light, space and atmosphere through the depiction of Sayers’ favourite subject, the landscape. 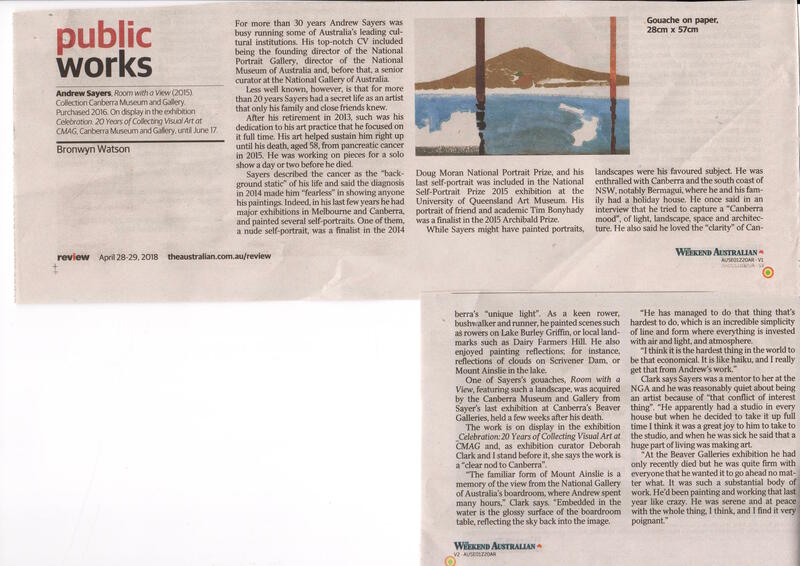 We welcome you to read the article from the Weekend Australian focussing on Andrew’s gouaches and to view the current works available at Lauraine Diggins Fine Art by selecting Andrew Sayers from the artist list on our site. ZHOU Xiaoping’s referencing of indigenous culture has come from his own experience and immersion in the Australian indigenous landscape, through his relationships with Aboriginal people, and his genuine interest in indigenous culture and art – it is a celebration of his own experiences and journeys, the friendships he has made and his desire to share his understanding of this culture with an audience through his own art. Earlier this year we unveiled the Goggomobil D’art Project, a commissioned project by Jeff Brown which saw Robert Clinch’s signature paper darts painted across the entire surface of a classic Goggomobil Dart sportscar. If you missed seeing this amazing car at Lauraine Diggins Fine Art, it will be a part of Motorclassica this weekend at the Royal Exhibition Building in Carlton (13 – 15 October 2017). A series of ‘Dart’ artworks are currently available at LDFA. Whilst inspired by the Goggomobil D’art Project the paintings and drawings of darts encompass their own narratives, with characteristic whimsical titles. To view Robert’s paintings and lithographs please click here.